"The DC-3 was a beautiful, stable, and virtually indestructible airframe going to waste. We realized that by turbinizing and modernizing the airplane it would go on for many years. ". . . for years the aviation industry had been searching for a replacement for this rugged and reliable aircraft . . . at Basler Turbo Conversions we're building it." As close as the piston DC-3 came to perfection, Mr. Basler knew that there was a need for a better and more efficient version of this highly reliable aircraft. With this vision, Basler Turbo Conversions was created. Production began in the new 75,000 square foot facility in January, 1990 at Wittman Regional Airport in Oshkosh, Wisconsin. Since that time, BT-67 aircraft have been manufactured and sold to customers from every corner of the world. In 1996, control of the company was assumed by Jack Goodale, an aviation minded entrepreneur from Grand Rapids, Michigan. Mr. Goodale brought his considerable skills and background as a builder of businesses to the company and has nurtured and guided the business to its current standing as a complete and focused aircraft manufacturing company. 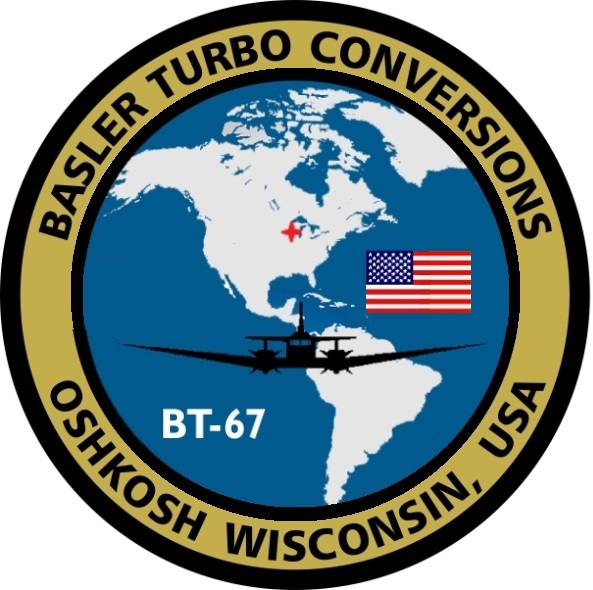 Today, Basler Turbo Conversions and the BT-67 configuration of the DC-3 / C-47 stands as a rare example of successful and complete remanufactured aircraft. The BT-67 and company staff proudly serve a world wide base of customers.